Although you might not give it much thought, the concrete sidewalk in front of your home is just an extension of your home and property. It’s maintenance and upkeep is linked with your home and it can have all the same negative impacts that damage to any of your other concrete surfaces can have including affecting the overall visual appeal of your home. This, and a range of other problems, can be avoided with our help. Concrete Pros Bend can help to repair concrete and maintain your concrete sidewalk and ensure it doesn’t result in any avoidable issues for your home. Concrete can be adversely affected by a range of things in the surrounding environment, and so can your sidewalk. It can experience a whole range of problems, including lifting and settlement. This can be a problem for you and your home for a number of reasons. This doesn’t need to be a major concern, however. We offer a range of concrete sidewalk services as part of our concrete services. This means even if your sidewalk is damaged or affected by something in the surrounding environment, and outside of your control, you can still get it repaired. Cracks are relatively common form of damage that your sidewalk can incur. In most cases concrete cracks are just superficial, and aren’t likely to cause problems, although they don’t look appealing and can be a problem when they are right in front of your home. Beyond this, larger concrete cracks can be an issue, and should probably be repaired. This is because they can let in water, which can result in further problems, and they can also become a tripping hazard. We can help repair any cracks, minor or major, with our concrete crack repair service. Whether your concrete is experiencing issues with lifting, settlement or large cracks have started to appear, this can all make your concrete sidewalk uneven. This can be a potential tripping hazard for you, your family, or anyone who might be passing by. Having someone injure or hurt themselves around your home isn’t what you want and is something you can easily avoid with our help. We are the concrete contractors who can help to ensure that the area around your home is safe for everyone. Keep your place safe for you and your family, it’s an easy thing to do with us. Given the sidewalk in front of your home is almost, quite literally, the curb, it’s part of the concrete curb appeal of your home whether you think about it or not. If your sidewalk is damaged in any way, or riddled with cracks, it’s probably not having the impact you would like on the look of your home. Getting any issues repaired, whatever they happen to be, can be the best way to ensure the concrete curb of your home is not negatively impacted or compromised. 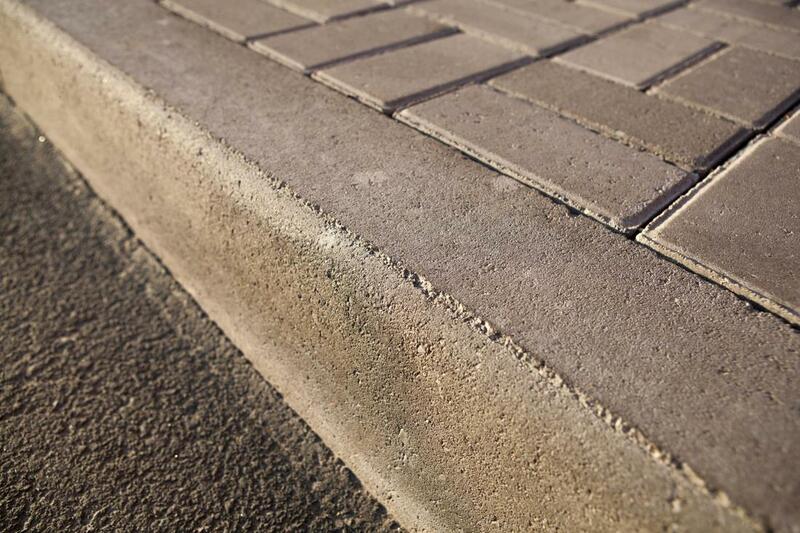 It’s something that you no longer need to put up with, given our concrete repair expertise.